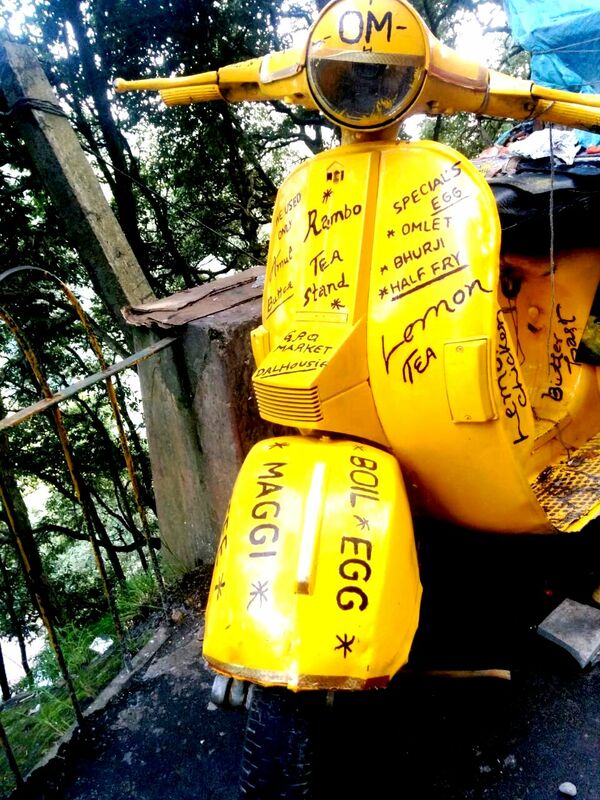 As you walk down the Mall Road in Dalhousie, in the middle of the ever busy, ever crowed road a bright yellow Piaggio Vespa, with names of dishes written all around the scooter catches your attention. 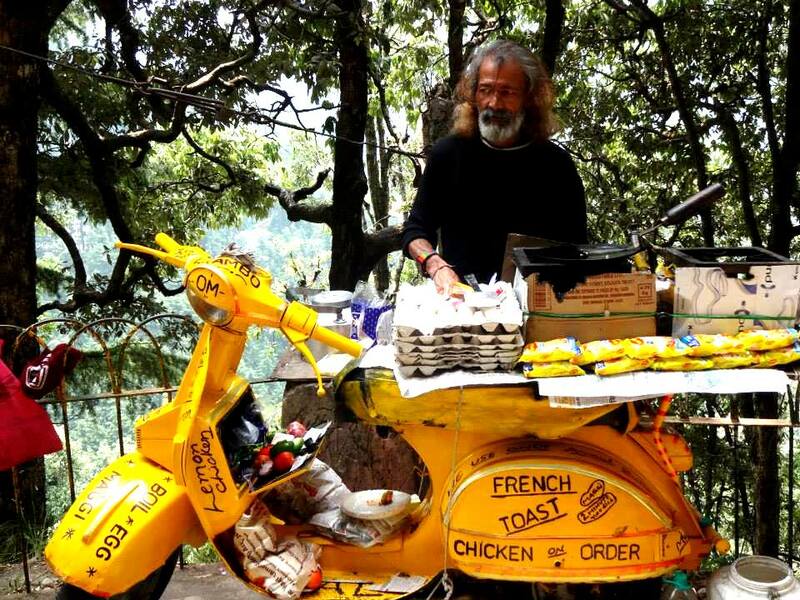 And then you notice man with long beard with a salt and pepper touch, the mastermind behind this awesomely creative tea stall on a scooter- Sunil Pawar aka Rambo, that’s how he loved to be called. This mobile tea stand looks totally cool, funky and eccentric. Full of excitement and energy one can never spot Rambo without a smile. 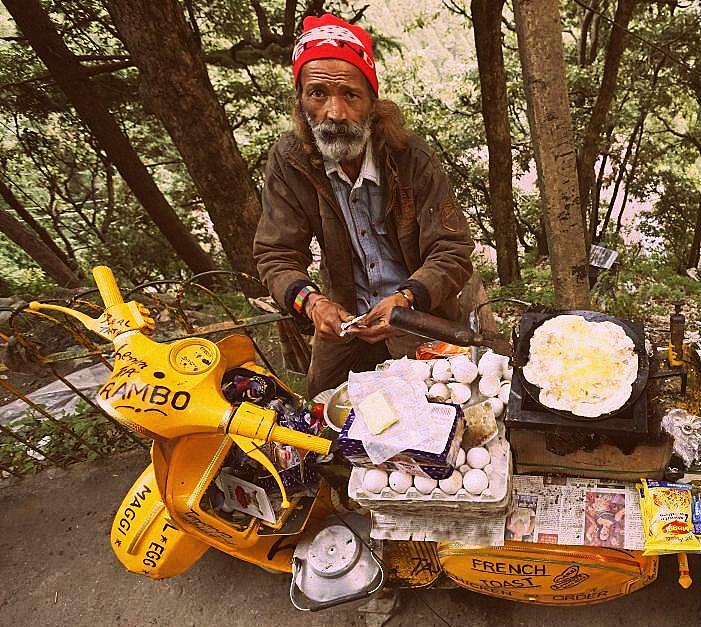 His colourful persona, the brighter than bright yellow scooter, and those yum yum snacks makes your trip till this spot just perfect. Wow! Suddenly it felt as if Rambo uncle is right in front on me, you put life in words! Hey Buddy!, I found this information for you: "Rambo’s Little Tea Stall @ Dalhousie". Here is the website link: http://www.wanderlustcraving.com/2014/12/11/rambos-tea-stall-dalhousie/. Thank you.